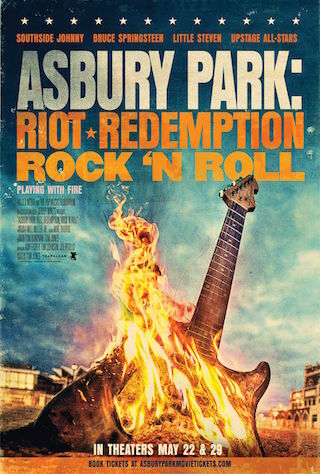 Asbury Park: Riot, Redemption, Rock & Roll is the story of the long-troubled town of Asbury Park and how the power of music can unite a people divided. A once storied seaside resort, Asbury Park suffered a race riot on Independence Day, 1970, crippling the town for the next 45 years and reducing it to a state of urban blight. A town literally divided by a set of railroad tracks, the riot destroyed the fabled Westside jazz and blues scene but from the flames of the burning city emerged Bruce Springsteen and the fabled Jersey sound. 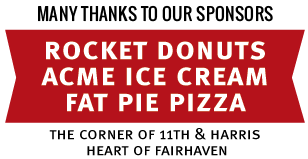 Asbury Park returns Asbury denizens Springsteen, Steve Van Zandt and Southside Johnny Lyon to the legendary Upstage, the psychedelic after hours club where they got their start. As part of the event, the three unite to play a now legendary concert to a sold out Paramount Theater and to trade guitar licks with the future of music in Asbury – a group of 11-year-old rockers who prove the best days for the town may just lie ahead.